Children express inner feelings through drawing. Child counselors use a variety of techniques to assess and treat a child with behavioral or mental health symptoms. Sessions often include parents or families, who engage in all or part of the activities of a session. You may be surprised to find that the counselor plays games with your child or introduces art activities into a session. Although these activities may look like child's play, in the hands of a professional, they provide insight and interventions to help your child. 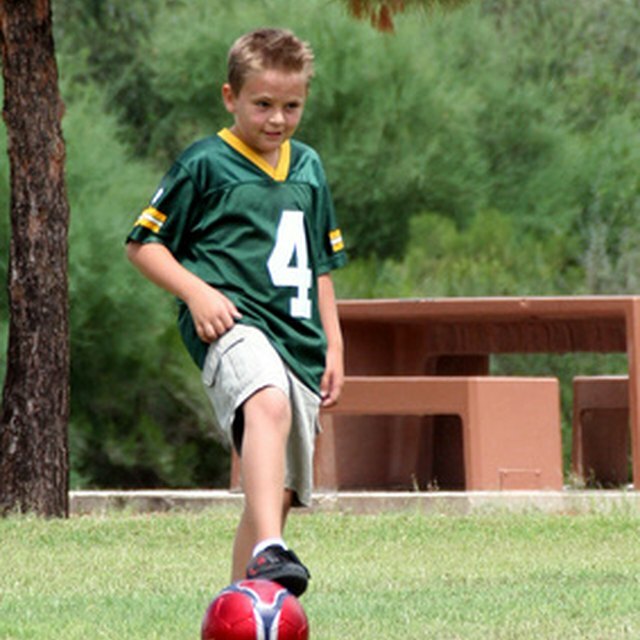 Selected games and activities help a child learn self-management strategies. For instance, a counselor may blow bubbles with a child. While the child is having fun with the bubbles, the counselor demonstrates how to blow bigger bubbles by taking deep breaths and blowing slowly. The counselor then explains how "Bubble Breaths" can help relieve anxiety. Strategy games -- such as checkers and Battleship -- help children learn impulse control by thinking about consequences. Memory games, such as card matching, help a child with Attention Deficit Hyperactivity Disorder increase his attention span and improve memory, according to "Fun and Games: Help ADHD Children Learn From Play," published by ADDitude. For diagnostic purposes, counselors may give a child an assignment, such as copying, picture completion or instructions to draw a particular thing, such as an animal or the child's family. At other times, free choice of art media and subject matter provide a child the opportunity to freely express inner thoughts and feelings. Counselors interpret a child's art by looking for themes and by asking the child to discuss his project. An unstructured approach to art therapy can help a counselor learn what concerns a child and how the child is dealing with those concerns internally, says Judith Aron Rubin in her book, "Child Art Therapy." Family interactional patterns and dynamics offer a key to problem resolution. Through activities, children and families interact with more spontaneity and imagination than through traditional talk therapy, say Liana Lowenstein and Trudy Post Sprunk in their article, "Creative Family Therapy Techniques: Play and Art - Based Activities to Assess and Treat Families." Techniques such as family sculpting help families understand a child's perspective. Using this technique, a child creates a living sculpture by placing family members in the room in whatever position -- sitting, standing, kneeling or other position -- that best illustrates how the family members interact with each other. After discussing the sculpture, the counselor directs the child to place family members the way he would like them to be. Talk therapy is beneficial for children who have experienced trauma, such as physical abuse, sexual abuse or the death of a loved one. Using narrative therapy, a counselor encourages a child to describe the traumatic event, and then they focus on the child's response to the event. Angel Yuen, school social worker and private therapist, calls this the "second" story. By asking about the child's actions, the counselor helps a child discover his strengths. Using this strengths-based approach, ". . .the child feels they can be influential in their own life, where they can be an agent in their own story," says Yuen. Professional Psychology: Research and Practice: Fifteen Effective Play Therapy Techniques; Tara M. Hall et al. What are Some Strategic Family Therapy Techniques?